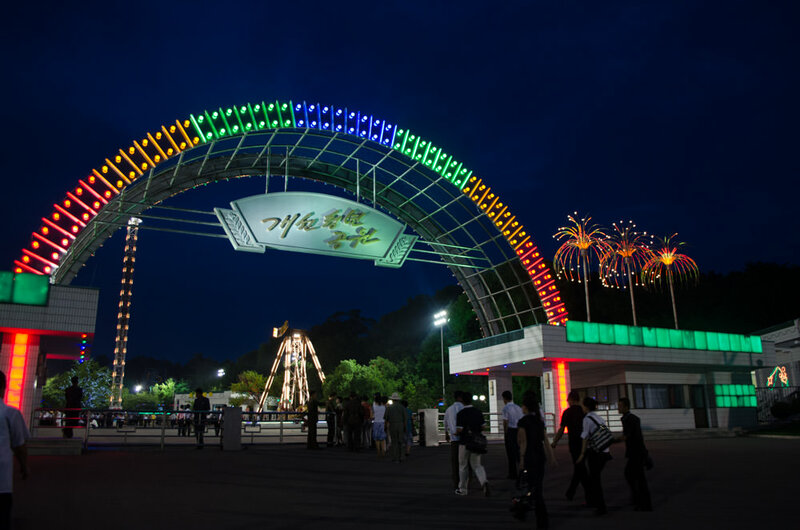 Open at night time and located right next to Pyongyang’s Arch of Triumph (“kaeson” means “triumph”) and Kim Il Sung Stadium at the foot of Moranbong Park, Kaeson Youth Park is perhaps Pyongyang’s most popular amusement park. Here you can try out six heart-racing rides including a vertical drop, “belly down” rollercoaster and pendulum. 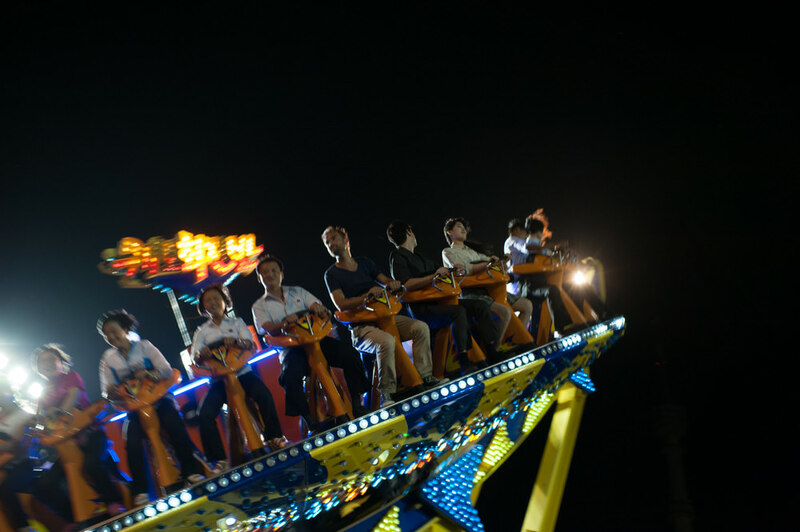 You can also ride the bumper cars, have a snack at a food stall or restaurant, or visit the game centre. A good place to rub shoulders with the locals. Only open at night . Entry is a cash out of pocket expense. 20 euros covers entry and all rides. Entry alone is 5 euros. 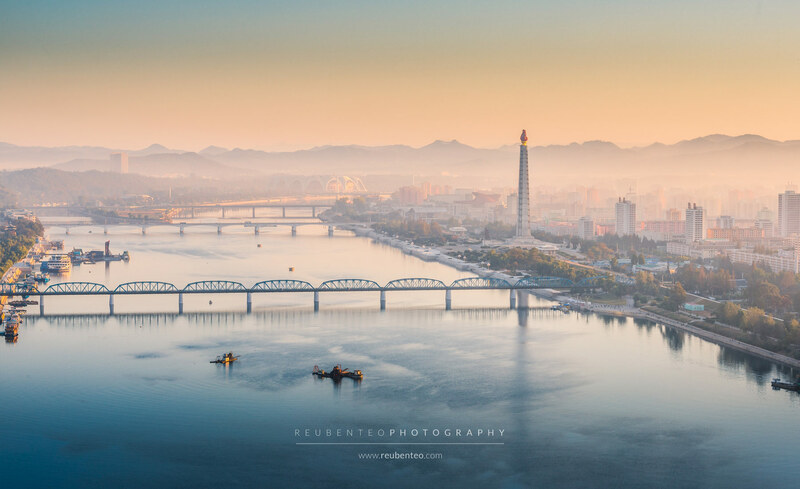 You can also pay the equivalent amount in Chinese yuan or US dollars. 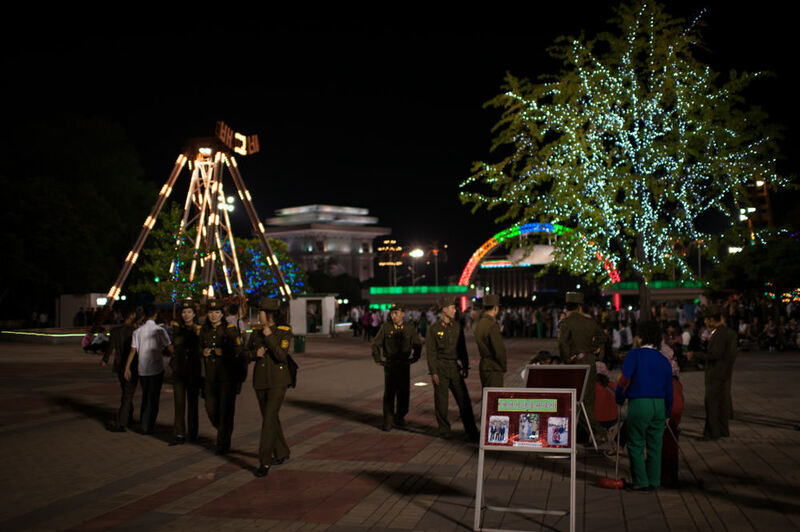 Bustling with locals during Friday, Saturday and Sunday evenings, before it gets too late. These are good times to rub shoulders with, and scream alongside the Koreans. First opened in 1984, soon after the Arch of Triumph was completed in 1982. 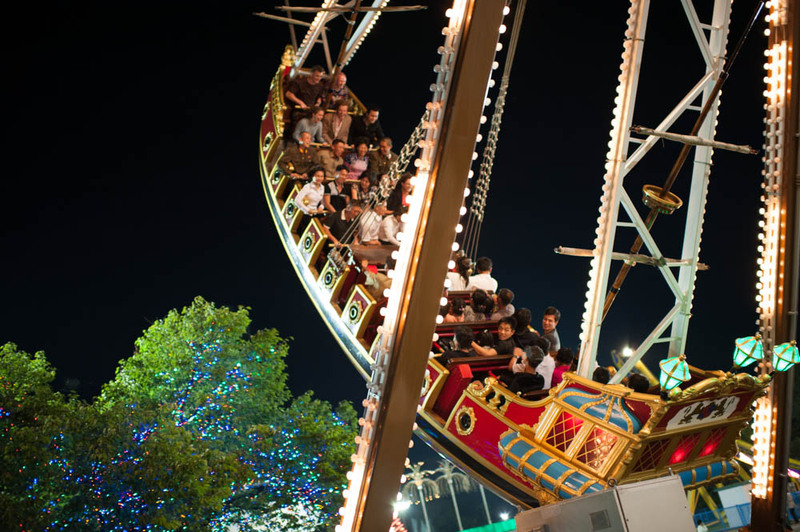 It was renovated with rides imported from Italy in 2010. Red plaques next to each ride commemorate “on-the-spot” guidance visits made by Kim Jong Il and Kim Jong Un. There is a small hamburger restaurant near the back of the park. At one of the food stalls here you can try the Korean shaved ice dessert “bingsu”. It is made with shaved ice sweetened with condensed milk and red bean paste. A nice way to cool off during a warm summer evening. 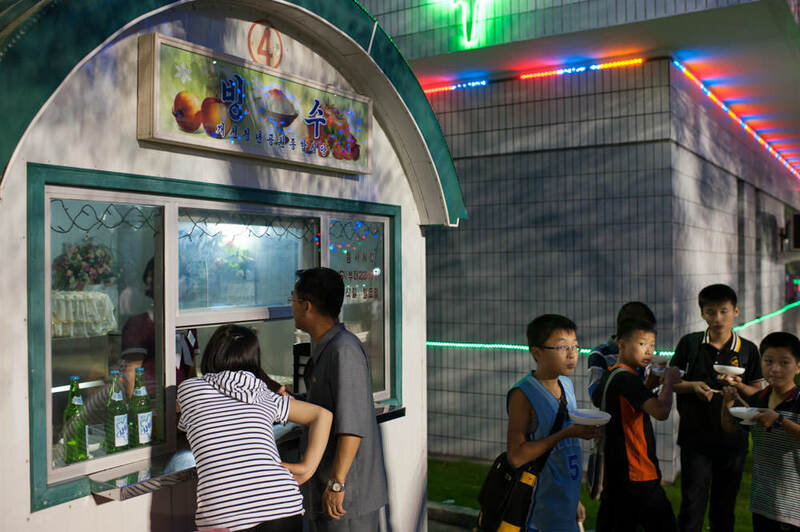 There are other snack stands and small restaurants around too. Bingsu stand at Kaeson Youth Park.